The mysteries of the deep come to light in this delightful cookbook packed with pearls and sparkles. 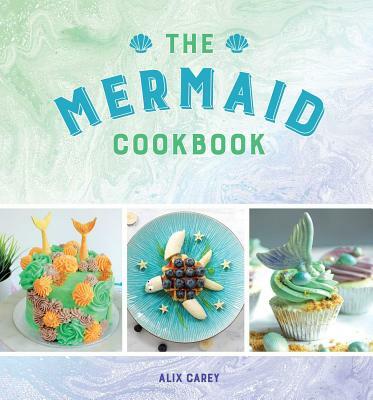 From a Sandcastle Cake and Turtle Doughnuts to Jam Clams and Treasure Trifle, fulfill all your dreams of becoming a mermaid. Or at least eating like one. Color photographs are paired with easy-to-follow recipes. Besides various desserts (cupcakes, celebration cakes, cookies, and bars and bites), the cookbook also includes party food (i.e. Crispy Starfish Churros), breakfast (i.e. Mermaid Toast), and drinks (i.e. Seaplendid Smoothie) sections. Each recipe also shows estimated time to make and difficulty rating.